Thank you to everyone who came to the concert on Saturday 16th June. This was a fantastic event - much enjoyed by the choir. We received some terrific feedback about the performance - so thanks to everyone who let us know what they thought. We were privileged to have Noirin Ni Riain join us for the performance. If you are interested in trying out with the choir you are welcome to come along for a free taster session. We meet on Tuesday evenings (but not in school term times). Although we welcome interest from anyone we are particularly interested in recruiting new basses! Feel free to contact us via our contact form to arrange your free try-out session. This is a recording of our October 2017 concert in the beautiful setting of Beaulieu Abbey. Enjoy! In October 2017 we performed a full concert in Beaulieu Abbey as part of the Beaulieu Music concert programme. Here is a recording of one of the songs we sang - Didavoi Nana, from Georgia. Enjoy. 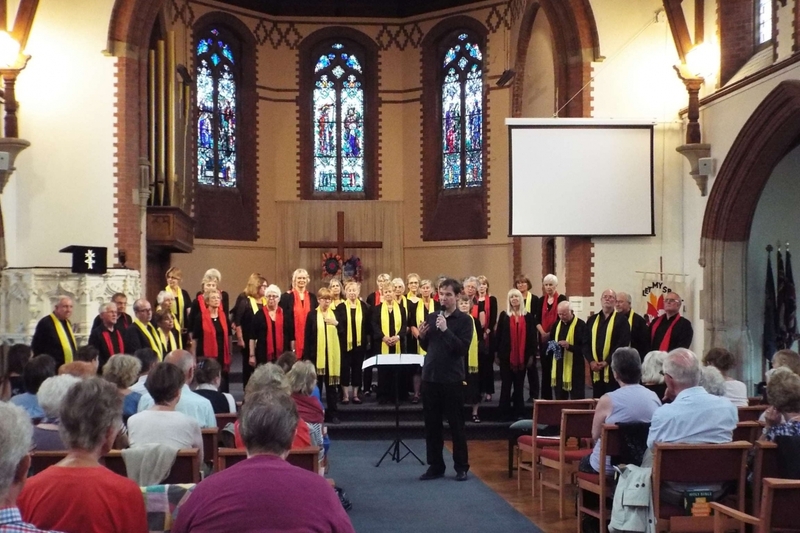 Fundraising Concert at St Andrew's URC in Southampton - over £700 raised! 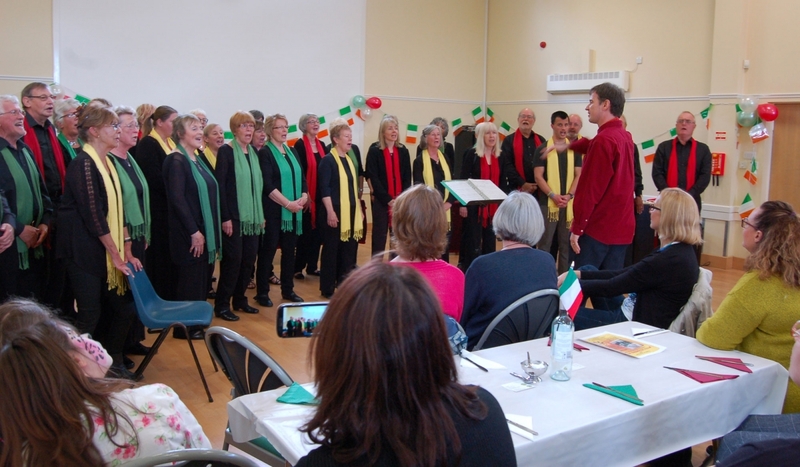 We held our launch event for our latest CD titled "O Sole Mio" in Lyndhurst in May. It was athoroughly enjoyable and friendly event which was very well attended. We were treated to a delicious cream tea with home-made scones and jam. Thank you to everyone who came along to support us! All our CDs are available for purchase via the website - click for details and to order.